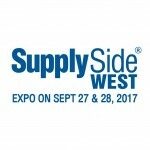 This year, we are going to exhibit at SupplySide West 2017 in Las Vegas during September 27-28. Here you will see our multi-functional dietary ingredients － ANKASCIN 568-R and Vigiis 101-LAB. 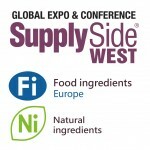 This year, we are going to exhibit at SupplySide West 2015 in Las Vegas during October 7-8 and Fi Europe & Ni 2015 in Paris during December 1-3. 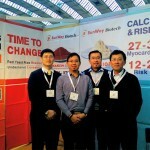 We will exhibit our multi-functional dietary ingredients － ANKASCIN 568-R and Vigiis 101-Probiotic. Remarkable advances have been made in the development of ANKASCIN 568-R. During the exhibitions, we will share the information on our New Dietary Ingredient approval by the US FDA as well as two clinical trials on blood lipid and blood sugar regulation. You are welcome to meet and visit us at stand # 1263 at SupplySide West 2015 and stand # 7B14 at Fi Europe & Ni 2015. Visit us for the innovative multi-functional dietary ingredients! 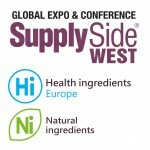 We look forward to meeting you at SupplySide West 2015 and Fi Europe & Ni 2015.